Day 20 of #100happydays is signing up for AmazonSmile. Have you signed up yet? 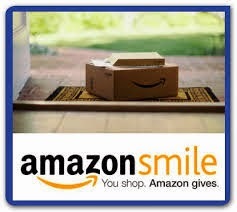 I use Amazon for lots of different things but now that I have AmazonSmile, I'm even happier as every time I purchase something, they donate some of that money to Ceres Community Project - the non profit organization I'm involved with in Sonoma. Amazon Smile is easy. You sign up for it on the regular Amazon page and then it gives you options to search for non-profits in your area or wherever. 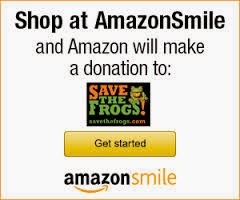 You click on the one of your choice and Amazon donates 0.5% of the price of your purchases to the charitable organization you chose. Its automatic once you've signed up. Yes, 0.5% isn't a huge percentage but the more people who sign up, the more donations. Some reckon that this kind of system isn't good in the long run as people don't get the "good feel" when a non profit acknowledges your donation, and some may feel this is enough and not contribute in other ways. Also they feel it is just a good ploy to get more sales for Amazon. I have a different view. Yes, its not replacing anything that I already do, but its just a little bonus. I also think it teaches people about philanthropy who may not give any other way, but can make a choice on amazon on who to donate to. I still think I can feel good supporting - albeit in a small way - a local group, via Amazon. What do you think? Its similar to iGive - which links to 1400 stores, and each store choses the percentage they donate. Amazon is on that too, giving 0.8%, and the average amount donated by stores is 3%. Stores include Crate and Barrel, Walgreens, Staples, Best Buy, ToysRUs, Lowes etc. I signed up with iGive years ago. I'm all for different ways we can encourage support to non-profits and teach people about philanthropy.